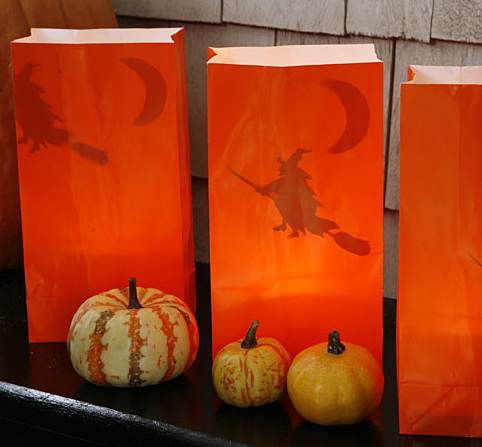 Paper bag luminaries aren't anything new, but I love the idea of the flying witch silhouette inside of the bag. With battery operated votives you can do all sorts of things (like glue paper inside of the bag) that you couldn't do when you were using candles. All You has a printable template for the witch and the ghost. You can get the templates and see the directions for these Halloween luminaries HERE.